While these shoes do not ship with a warning, they should. 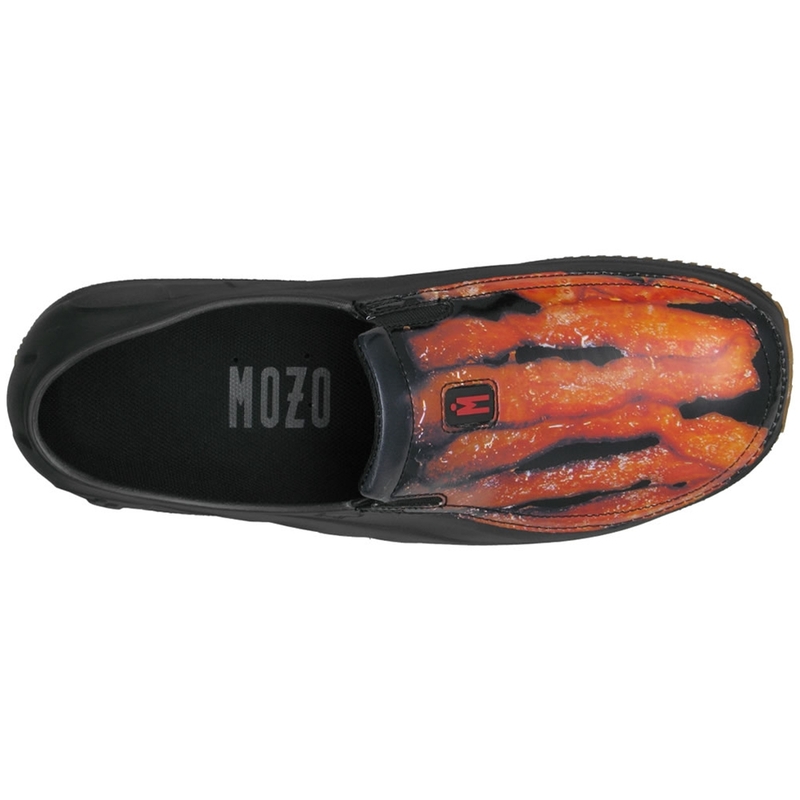 The bacon design will not only start conversations among your coworkers and anyone that sees them, but also can make you crave bacon! 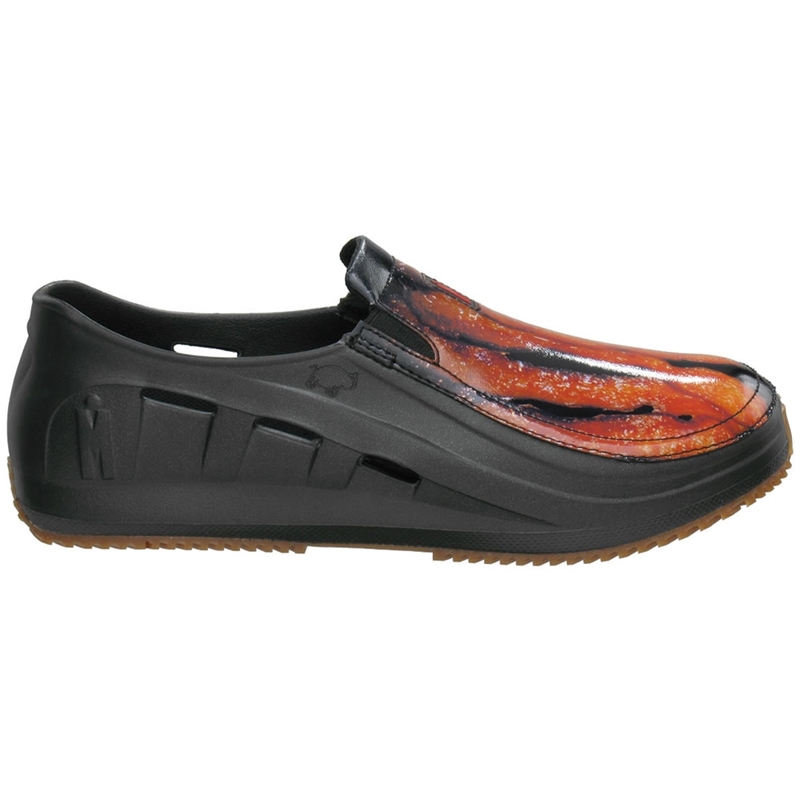 Mozo shoes are known for their creative styles as well as their amazing cushioning. 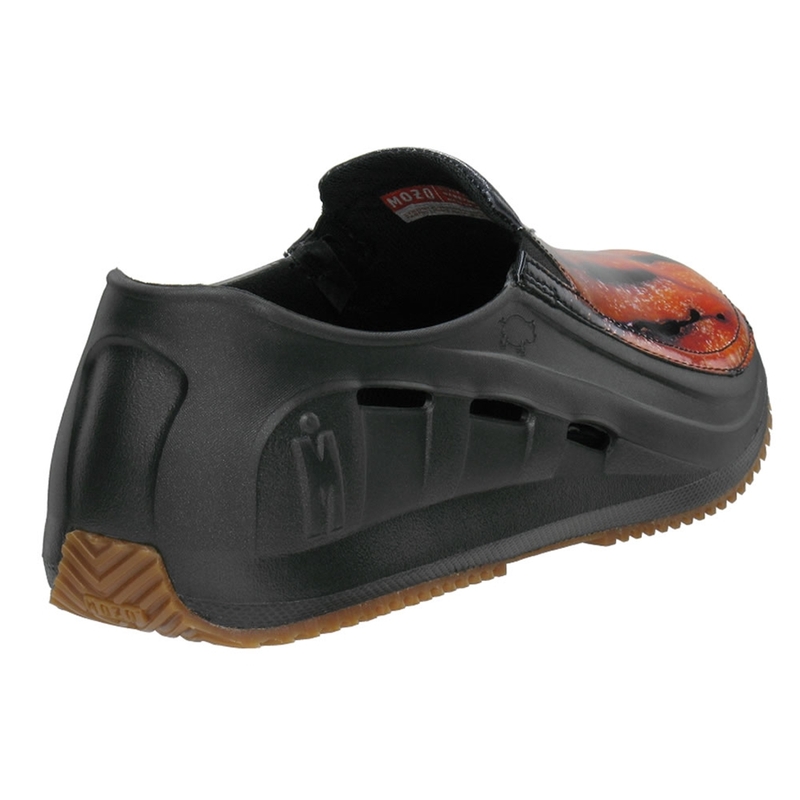 Designed with Uniframe™ technology, it keeps the shoe lightweight while containing amazing craftsmanship. 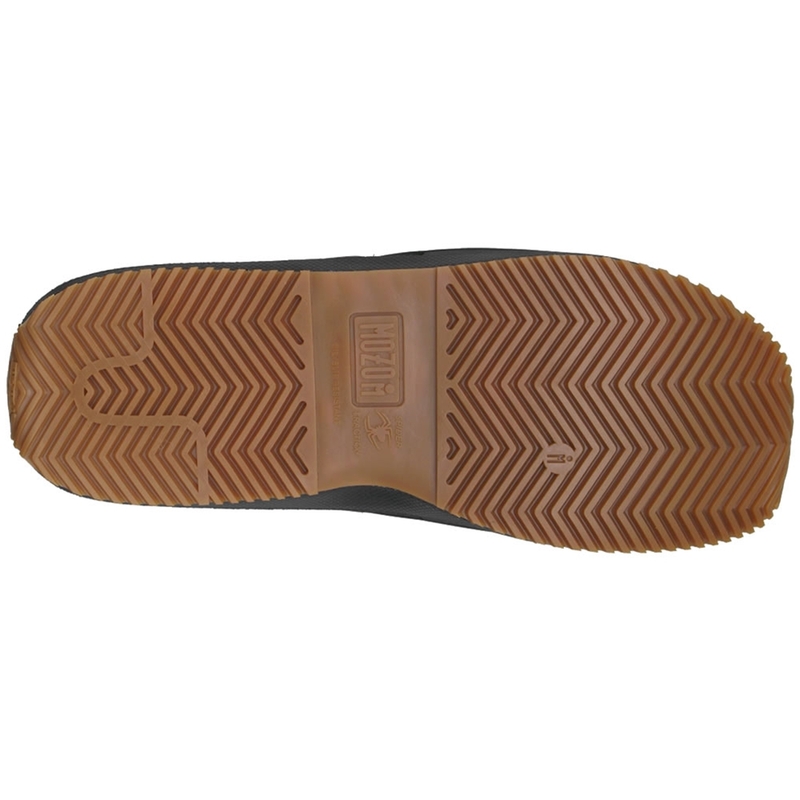 Insoles have unbelievable cushioning keeping your feet from hurting throughout long shifts. Discontinued Model. While Supplies Last! !